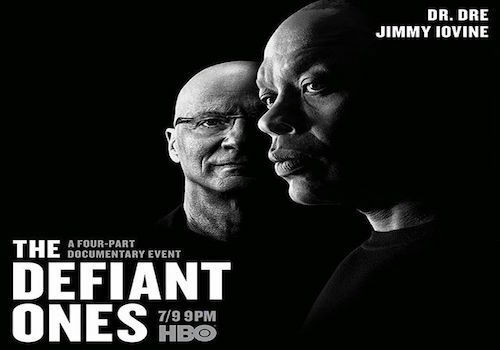 Last night was the premier of Dr. Dre and Jimmy Iovine’s The Defiant Ones on HBO. If you caught the show, you more than likely caught on to an unreleased Dr. Dre song called “Gunfiyah”. You can now revisit the song after the jump or on the Funk Flex app. The second season of HBO’s hit series, Insecure, now has a release date, as well as the third season of Dwayne “The Rock” Johnson’s Ballers. Aside from the greatness in originality when it comes to this show, if you haven’t started watching it or have no interest to…develop a quick interest somewhere, call off work and start your binge watch because you have been missing out. For those who are real GOT fans, sorry to say but all great things do come to an end. Hip-hop legend DJ Kool Herc is suing HBO over their show Vinyl, which is based around the music industry in the 70s. On the show, there is a character named Mr. Campbell (his real last name,) whose nickname is Herc. Clearly, there is no doubt that this is supposed to be the real Herc, and this isn’t sitting right with him. No add insult to injury, HBO reportedly reached out prior to the show’s airing, and offered $10,000 for him to waive his rights and consultation services regarding the show. However, he refused to sign – which means they did not have the rights to this character. Beyonce did it again. She debute her highly anticipated album on HBO on April 23rd at 9pm on HBO for FREE. If you missed it here’s a recap on what left people in ‘awe’. Azealia Banks encounters some harsh clapbacks from a group of fans you know not to mess with, the Beyhive. HBO is offering a weekend of free premieres, including Beyoncé’s ‘Lemonade’ and many more. BeyHive, are you ready? Beyonce has had everyone in formation since the release of her surprise single came. Now the wait of her new visual album Lemonade is set to premier on HBO April 23, 2016. Most of her hive went berserk when she announced on Instagram earlier today and basically shut twitter down! Viewers are prepared to see the upcoming film ‘Confirmation’, which goes in depth about the claims made in 1991 by Anita Hill against Clarence Thomas. With so many important topics addressed in the film, this movie will definitely be discussion worthy.